Happy feast of the Immaculate Conception! When we look at Mary, we can see a real contrast with that of the world. She is an example of what we are capable of becoming through Christ. With the World, we are getting a full on view of what happens when people don't know or follow Christ. So much is coming to light these days! It is God alone who makes us more fully human and when we don't follow him, we become less human and make others less human by objectifying them. When we choose to follow Jesus and receive his life in us, we have an advocate. He is extremely patient and kind and transforms us little by little, chiseling away the rough edges like a sculptor sculpting a beautiful piece of artwork out of marble. I was not always aware of God's transforming power. I used to be very performance driven. I thought when I decided to follow him almost 30 years ago that I had to be perfect right away. I would beat myself up and fall into despair if I would mess up and do something wrong. Over the years, I have learned to lean back in him, let him do a work in me and try not to tell the potter he is taking too long. Last week I even had a dream that shows how far I have come in my way of thinking. In my dream, another woman and I were put in charge of cleaning a swimming pool. The swimming pool was a real mess! The water was a putrid green and filled with debris. I knew if I just worked on it a little bit each day and put a jug of chlorine in it each day, eventually it would be crystal clear. The other woman however was very irritated and impatient. She felt it needed to be completely clean right away. In the spiritual life, we can often become impatient with ourselves, thinking we need to be perfect right away. However, Christ is the only one capable of making us clean from the inside out. When we entrust ourselves to him, we need to trust in what he is doing and his perfect timing. In fact he is so patient and kind, he doesn't even want to dwell on the negative stuff we are often focused on. What I have come to realize, is that if I focus on his majesty and greatness instead of my imperfections and sins, that other stuff will work itself out. Just yesterday I was talking to the Lord about some struggles I was having. It was good I was bringing it to him but he wasn't really interested in focusing on that. Instead he was so kind and began to give me some practical advice regarding the future. When I was a kid, my dad had a 25 ft. sailboat. We would always go sailing on Lake of the Ozarks when we lived in Missouri or Lake Pontchartrain when we lived in Louisiana. I loved sailing! We would also anchor the boat in a cove in the Lake and sleep on the boat at night. 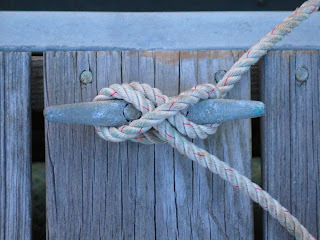 When we were done sailing and it was time to dock the boat, it was very important to secure the ropes connected to the boat to the horn cleats that were on the dock. If you didn't secure it just right, your boat could drift away. This is what came to my mind yesterday. 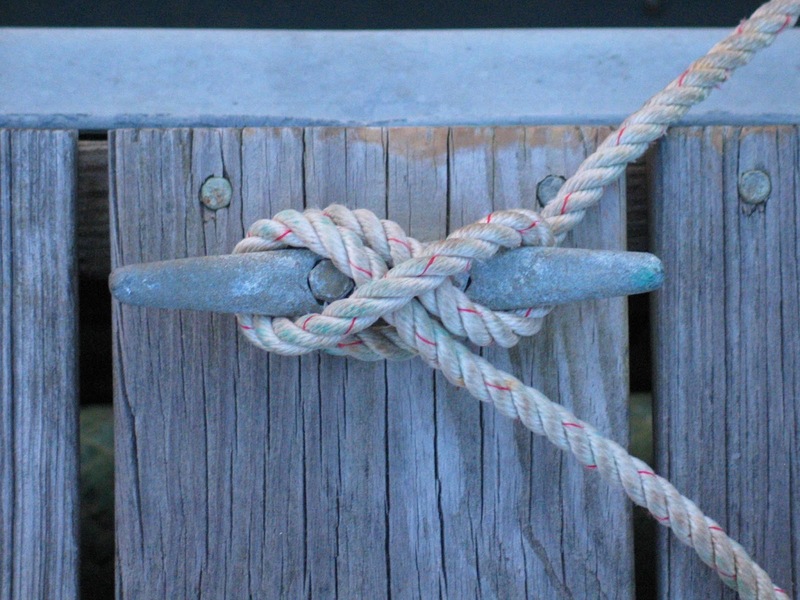 The Lord was letting me know that he is like the horn cleat that we need to secure ourselves tightly to. This way, even if things get terrifying in the world, we won't drift out to sea. The Lord kindly keeps telling me not to be afraid of things that are to come. These things are going to be necessary in order for people to recognize their need for him and these things will lead to a harvest of souls. I think it has become very obvious in our world, that what people need most is Jesus!